Home Galaxy Tab A 10.4 Galaxy Tab S4 Galaxy Watch samsung Meet the New Devices joining the Samsung Galaxy Family! Meet the New Devices joining the Samsung Galaxy Family! Samsung just unveiled 3 new devices that will be added to their ever expanding Galaxy line. The SAMSUNG Galaxy Watch, SAMSUNG Galaxy Tab S4 and the SAMSUNG Galaxy Tab A 10.5 where introduced during their press launch at the Wholesome table at BGC. The launch was also graced by Dan Torres, Marketing Head for IT & Mobile; Patty Lee, Product Marketing Category Head; Bea Ignacio, Product Marketing Manager for Tablets, Wearables, & Accessories; Isabella Concepcion, Marketing Manager for Flagship Smartphones. The SAMSUNG Galaxy Watch comes to us with an estimated 80+ hours battery life minimizing the need to charge it daily. You can tether your galaxy watch to your smart phone longer, for messaging, calls, mapping, music and more. 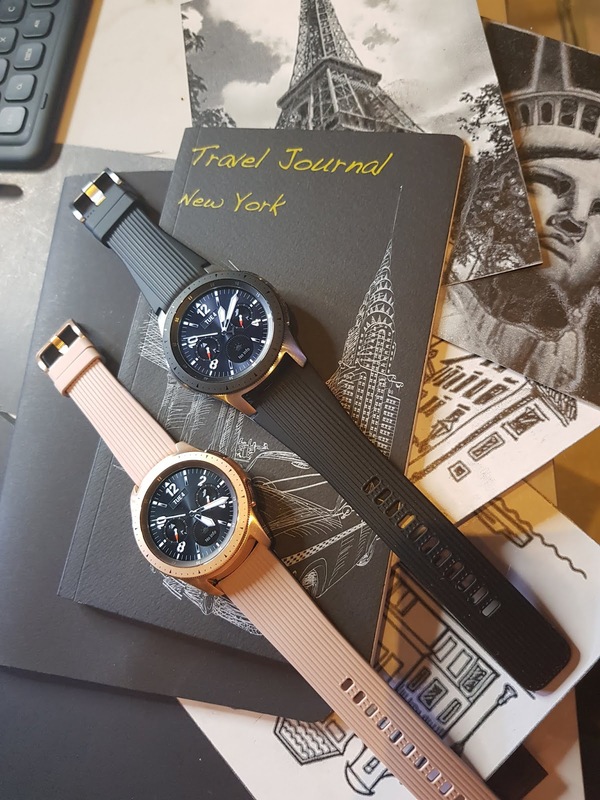 Galaxy Watch helps users accomplish more with new stress and sleep monitoring capabilities, in addition to offering a more robust line up of style options including two new watch faces in Silver and Rose Gold, and new customizable watch band colors. Users can also start and end their day with morning and evening briefings to help stay on top of reminders, weather and their latest schedule. Samsung Galaxy Watch caters to more sizes and styles with a Silver, 46mm version and 42mm option in Rose gold. Users can customize Galaxy Watch even more with a selection of watch faces and straps. Galaxy Watch carries the legacy of Samsung’s smartwatches with its trademark circular, rotating bezel while embracing the digital look with Always On Display, in addition to improved usability. 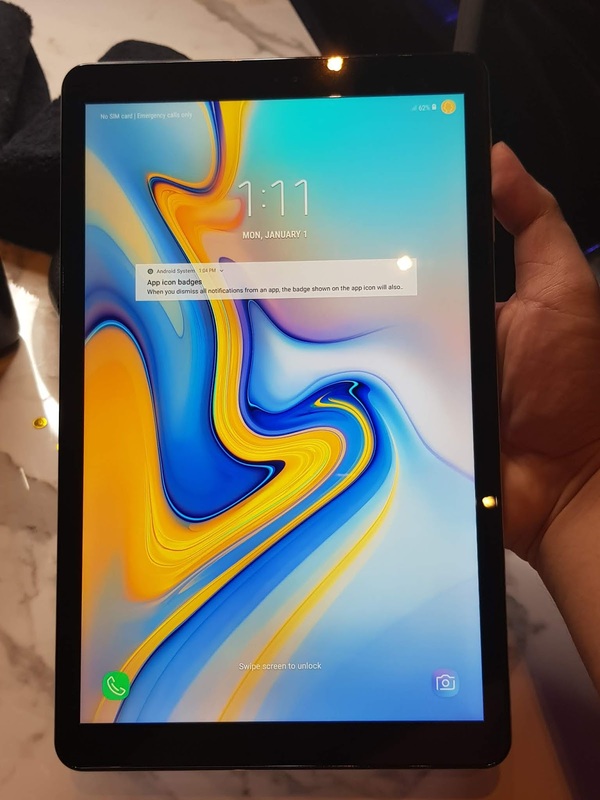 The SAMSUNG Galaxy Tab S4 was built for people who lead work-hard-play-hard lifestyles, the Galaxy Tab S4 is a powerful multi-tasking assistant. It is equipped with upgraded features that promote productivity on-the-go and deliver exciting entertainment. Having the Desktop Experience (DeX) mode users can accomplish work anytime and anywhere. The taskbar, multi-window capability, and gestures like drag &amp; drop provide an accessible and familiar work interface. Sporting intuitive design, the dedicated POGO keyboard seamlessly connects with the tablet and provides a comfortable typing experience. 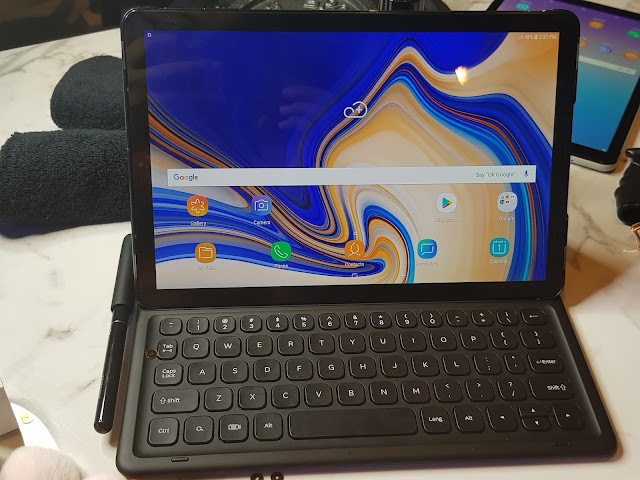 the Galaxy Tab S4 has enhanced speed and a larger memory, coming with 64GB internal storage that can be expanded up to 400GB via microSD card slot, the Tab S4 can accommodate many files, from important documents tolarge and high-definition videos. The Galaxy Tab S4’s improved S Pen, revamped drawing tools, and translate functions help unleash its user’s fun and creative side. The added Air Command applications also ensure an optimal user experience. Jot down new ideas that come to mind before it’s forgotten or use LiveMessage to create animated handwritten notes in conversations, all with the S Pen. With speakers tuned by AKG and powered by Dolby Atmos you can expect superb surround sound from your Tab S4 The device showcases stunning visuals with its slim bezels and an immersive 10.5” Super AMOLED Display. Combined, these features make for engaging and immersive viewing experiences. All these great technologies are supported by a 7,300mAh battery that can last up to 16 hours and goes back to full power in just 200 minutes of fast charging. SAMSUNG Galaxy Tab A 10.5 was created to have an epic family time anywhere. The Galaxy Tab A 10.5 specializes in family-friendly entertainment and ensures epic family time anywhere. With enhanced audio and visual features, the Galaxy Tab A 10.5 is ideal for enjoying your favorite films and shows. Whether lounging on the couch or enjoying a long drive with the family, the Galaxy Tab A 10.5 keeps children entertained for hours. With its wide 10.5-inch display and generous 16:10 screen-to-body ratio thanks to its slimmer bezels, this widescreen tablet allows friends and family to watch movies, play games, listen to music or browse content together. The device also has quad speakers tuned by AKG with support from Dolby Atmos 3D Surround Sound, which transforms mobile entertainment into an immersive audio-visual experience. The device also ensures longer battery life, with its 7,300mAh power. The Samsung Galaxy Tab A 10.5 also gives parents the control to manage content and usage time with Kids Mode. This child-friendly tablet interface is designed to make learning and entertainment simple, safe, and fun. This mode features Kids Browser, Galaxy Apps for Kids and eight free child-friendly apps from family-favorite brands. Multi User Mode can be used to create up to 8 accounts on the same device in order to benefit the entire family. For moreinformation about these products, visit the Samsung Facebook page or log on to samsung.com/ph.